Your Journey: Travel your road to success with us as we navigate through the Millennium of rapidly changing economic conditions, volatile markets, and global interconnectivity. Our Goal: To help you reach your goals. Together we can do that! Customer Identification: To help the government fight the funding of terrorism and money-laundering activities, federal law requires all financial institutions to obtain, verify, and record information that identifies each person who opens an account. 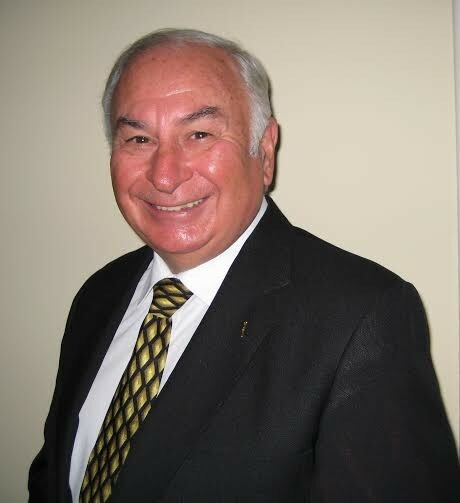 Albert F. Coletti is President and Board Chairman of The Design Capital Planning Group, Inc., of Smithtown, NY. The firm is a full service, independent financial planning and management consulting organization specializing in tax, investment, insurance, educational needs, retirement, estate and business planning. In addition, the firm consults in such areas as planned giving, executive compensation and employee benefit planning. As President of Design Capital, Mr. Coletti currently holds the following designations: Registered Financial Consultant (RFC), Chartered Financial Consultant (ChFC), Chartered Life Underwriter (CLU). STANFORD UNIVERSITY, YALE UNIVERSITY, UNIVERSITY OF ARIZONA, LONG ISLAND UNIVERSITY, STONY BROOK UNIVERSITY, CORNELL UNIVERSITY EXTENSION, NEW HAVEN LIFE UNDERWRITERS ASSOCIATION, SUFFOLK COUNTY CLU GRADUATE STUDIES SEMINAR, AMERICAN SOCIETY OF PUBLIC ACCOUNTS AND LONG ISLAND ASSOCIATION, AMONG OTHERS. Listed in WHO? WHO INTERNATIONALLY, Mr. Coletti has over three decades of experience in Financial and Management Planning. Available for speaking engagements on any subject dealing with the business and financial community pertinent to your program. Victoria Coletti is a Registered Financial Consultant with The Design Capital Planning Group, Inc. and President of Design Capital Leasing Corp. Mrs. Coletti has been active in management of financial services enterprises for over 30 years, is an expert in creative financing strategies and serves as Information Technology Supervisor for all Design Capital businesses. She is a member of the Financial Planning Association. Mrs. Coletti is not licensed for securities or advisory services. The Staff at Design Capital is committed to helping you make smart decisions about your money!